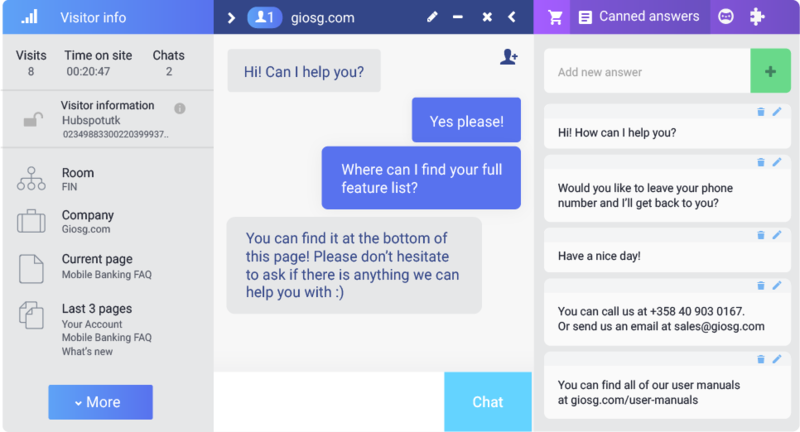 Our live chat is five times more efficient than traditional customer service channels. 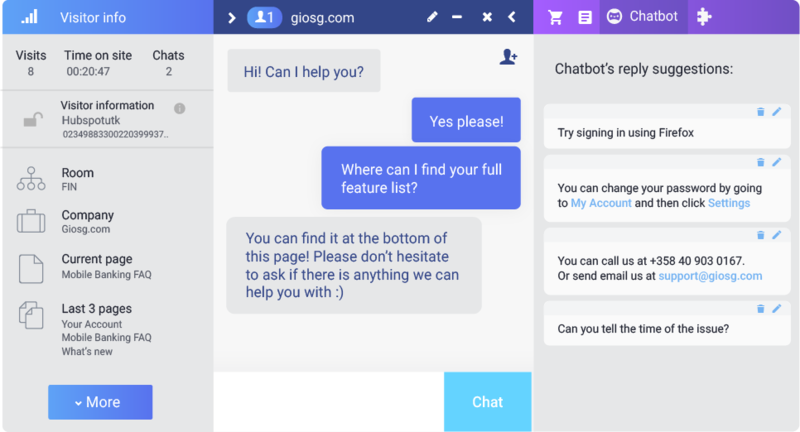 Unlike any other live chat, our UI is designed for maximum efficiency. We also offer visitor recognition, workflow-engine and AI-powered visitor targeting. Use Capacity to adjust the number of inbound conversations. Work with and across teams. See who’s online and how many chats they have. Utilise efficient UI to keep track of multiple conversations at once. Take advantage of real-time tracking of prospective visitors. 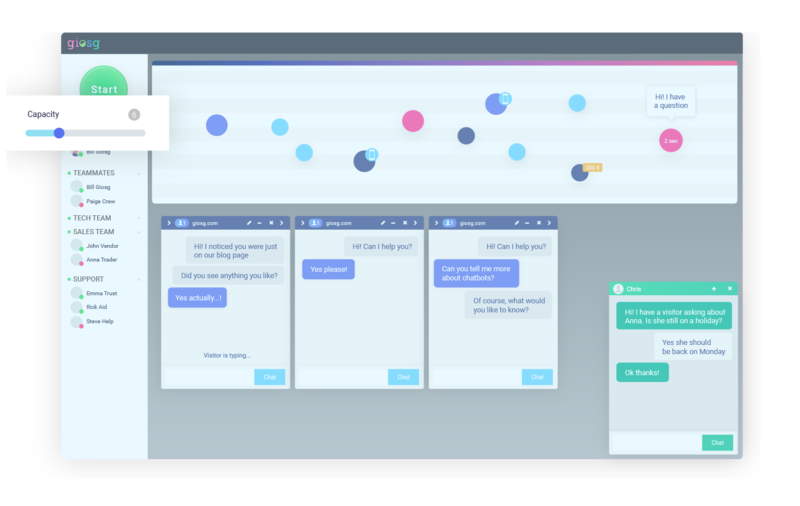 Boost conversion by letting AI-powered visitor targeting find the right conversations for you. 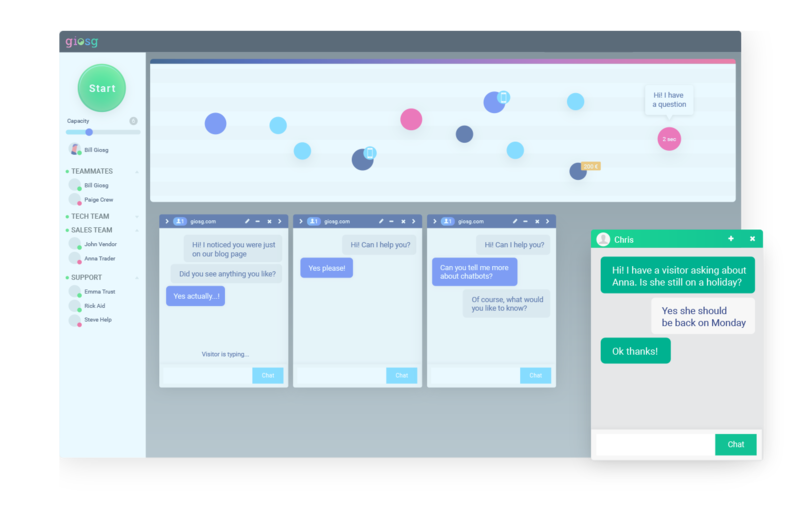 Interact easily with your teammates, forward chats to them and ask them to join conversations with customers. 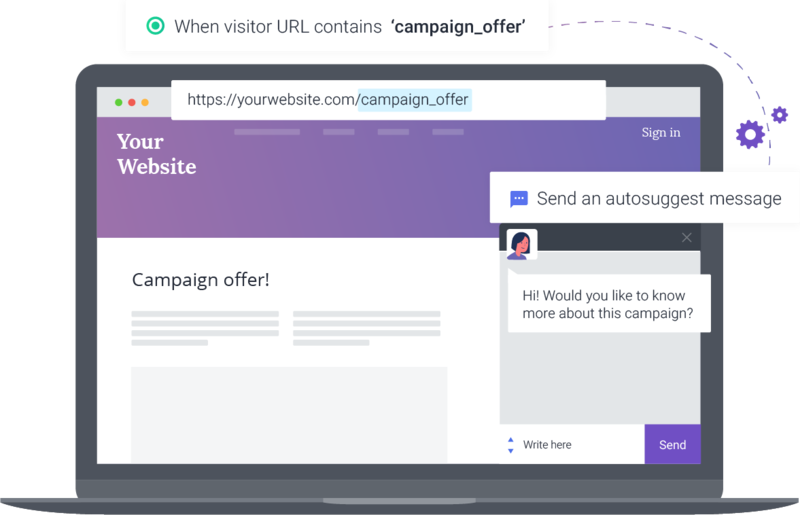 Imagine having the ability to recognise and greet each of your website visitors with a message that matches their unique situation. 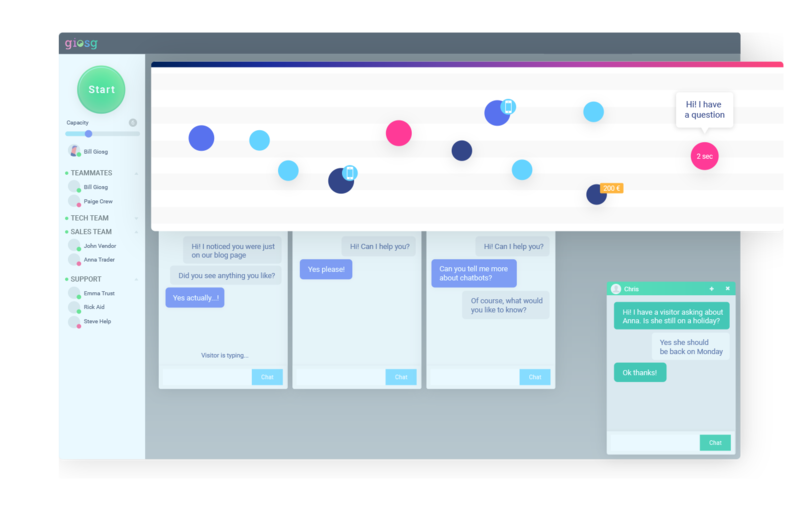 With our workflow engine you can create highly personalised greetings and make sure the right team is the first to answer. As for recognising visitors with the highest potential, you can leave that to our AI. Divide your website into specialised Rooms and assign the relevant team to each one. Activate AI-powered targeting or select an action. 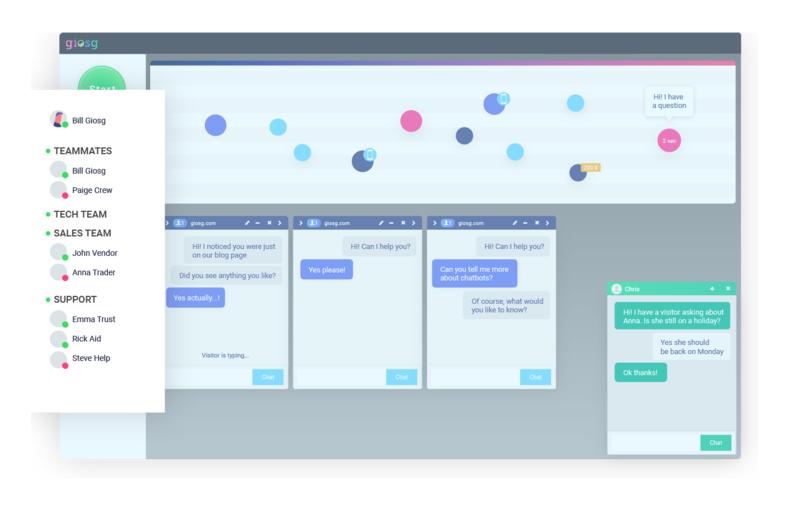 Measure how targeted chat helps you reach your business goals. Divide your website into Rooms and assign a specialised team to each one. 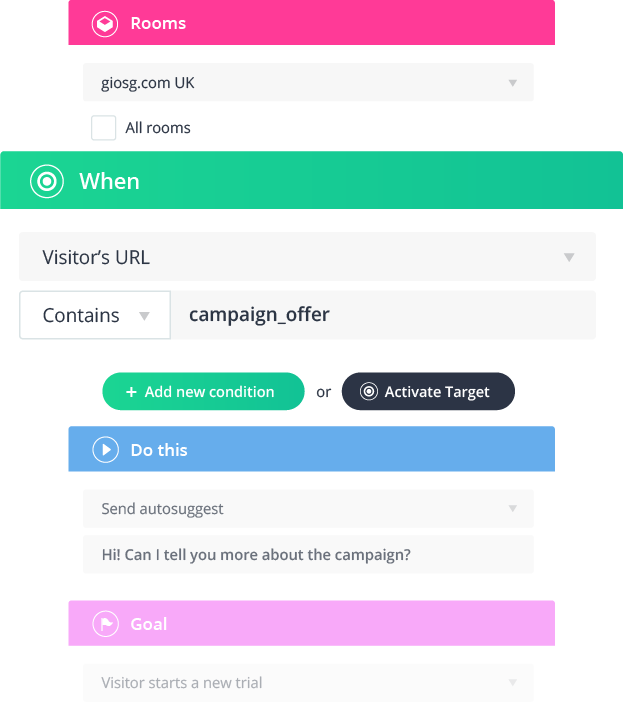 Combine multiple criteria to match the visitor’s behaviour. 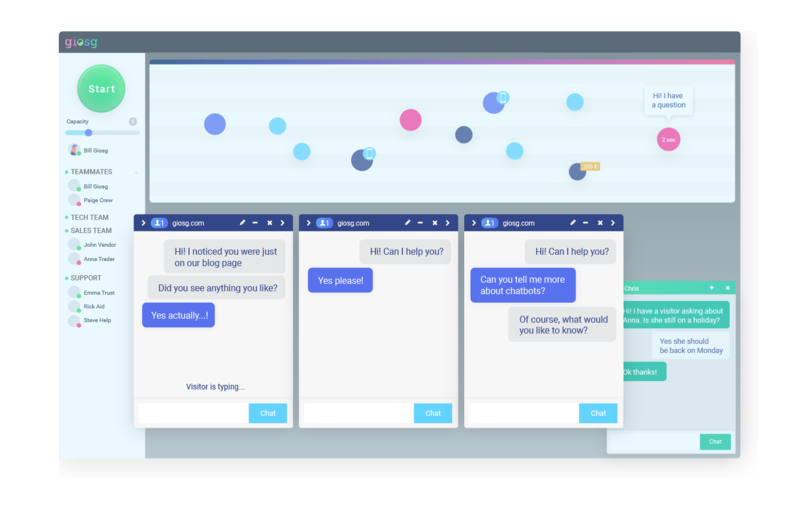 Activate AI-powered targeting with one click. Choose what happens next from over a dozen options. Measure how targeted chat helps you reach your business goals. 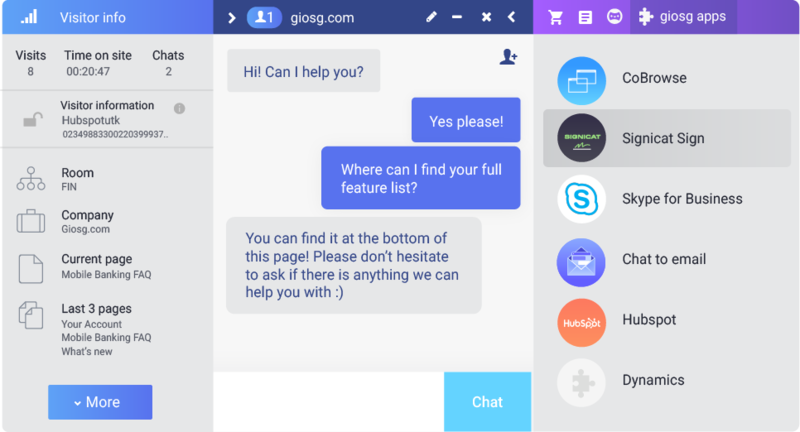 You can customise the chat window and chat button to match your brand. Extensive reporting allows you to track your team's efficiency and the impact of the live chat tool on your business goals. 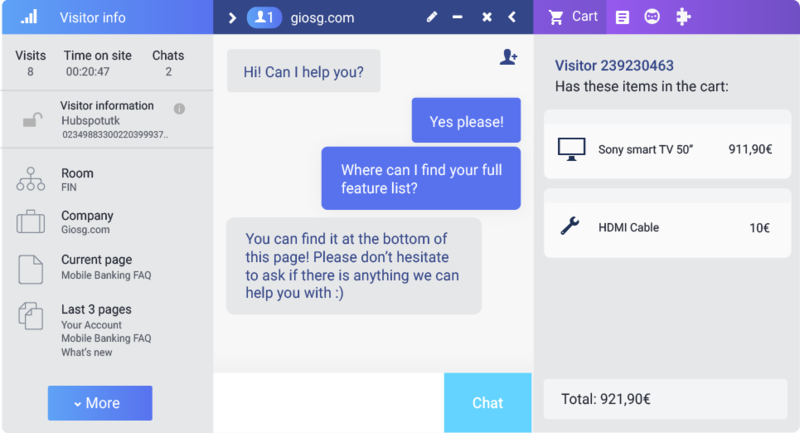 Car dealers, estate agents and other business relying on third-party consumer portals have a direct chat access to visitors on their postings. Reach customers on every device. With our Skype for Business integration, your agents can chat while on mobile. Download full feature list Contact us!